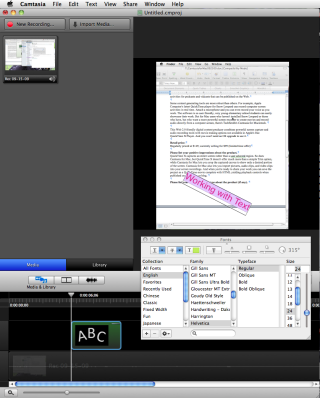 Movies and project files created by Camtasia for Mac and Camtasia Studio for Windows aren't interchangeable. Work created by Camtasia on one platform cannot be opened or edited by product users on the other platform.Overall evaluation: Camtasia for Mac is very versatile, delivering powerful screencasting and editing software to teachers, administrators and students who want to create presentations and other computer-generated videos. First-time users will appreciate its excellent Getting Started and How-To tutorials, many of which are in video format.